It’s a clear day, and the waters of The Woodlands shimmer from 3,000 feet. Piloting a rented Piper Archer III, Yasmina Platt glides through the air, even letting a companion take the wheel of the light little plane for a time as they make their way from the Houston Executive Airport in Brookshire to the Conroe–North Houston Regional Airport. Then Platt circles for a bit, waiting for the go-ahead to begin her descent. The purpose of the 15-minute flight? To eat a delicious burger. The tradition of taking a short plane trip to a nearby small airport—just to have a meal—dates back at least a few decades. Pilot John Purner, who runs 100dollarhamburger.com, a catalogue of the best airport diners, wrote The $100 Hamburger: A Guide to Pilots’ Favorite Fly-In Restaurants in 1998. The $100 number, however, is a bit outdated. Platt calculates that rental costs, plus fuel for a round trip, today costs closer to $130. While the practice is more about flying than food, one should never underestimate the power of a good burger. “$100 burger joints are getting people excited about aviation,” says Platt, who is both the Central Southwest regional manager for the Aircraft Owners and Pilots Association and a flight instructor. Since the 1980s, the number of pilots in the United States has declined from 827,000 to a bit over 600,000. Meanwhile, our culture’s food obsession continues to build at a fever pitch. At Black Walnut in Conroe, it’s clear which crowd Kustu wants to attract: The menu features an actual $100 burger, a seven-ounce Angus chuck patty covered in melted mozzarella, lettuce, onion and tomato and served on an onion bun with fries. It’s well-made if unexceptional, but for $100, diners get the usually-$9 burger, plus a $100 gift card. In effect, that juicy patty is free to anyone who buys the card. Social media has helped the cause of the $100 hamburger run. Platt says that often when she posts on Twitter and Facebook that she and a few friends are planning on hitting a particular airport, other pilots will take the opportunity to meet up, too. Because of that, it’s not uncommon for a weekend jaunt to turn into something like an aerial tailgate party. Today is actually a two-$100-run day for Platt. When she leaves Conroe for the Brenham Municipal Airport, it’s clear that she’s not alone in craving one of Southern Flyer Diner’s exquisite malted chocolate milkshakes. 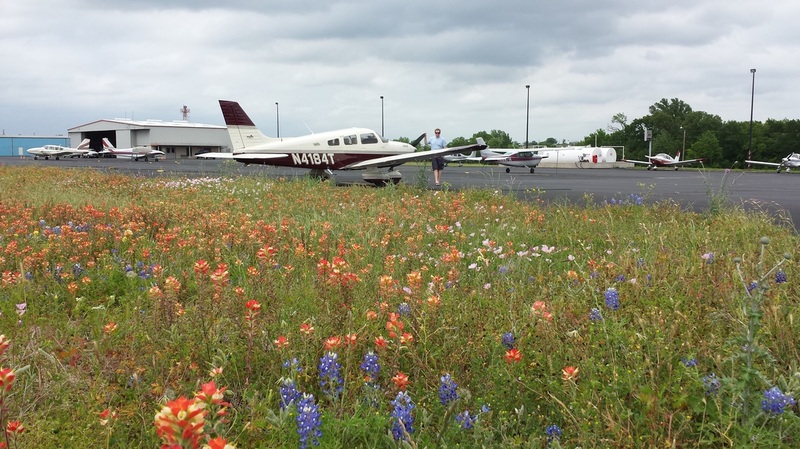 In her hands, the Piper sails to the ground almost as though there’s no difference between air and tarmac, onto an airstrip surrounded by bluebonnets. Once inside, the image is less pastoral—at 3 p.m., there’s an hour wait. “It’s a popular place,” Platt shrugs. Piloting seems to work up an appetite: Finally seated, she gets a plate of catfish to go with her shake, which should sustain her through the half-hour return trip to Brookshire. The quirky spot, owned along with the airport by Jack Hess, has been on the top of Purner’s list since its 2002 inception for its unbeatable shakes and chipper teenage waitresses in poodle skirts. Even for non-pilots, planes are part of the appeal. A waterside porch here also boasts a view of the airfield, and families gawk as servicemen jump into their helicopters after lunch. Yes, the fried catfish with sweet hush puppies and homemade slaw is worth driving in for, but as the next generation watches diners take off, visions of $100 hamburgers may be dancing in their heads. Disclaimer: I have not visited this place myself yet but I have all the best intentions to because it looks great! I was recently looking for "things to do and see" in the "Frio River" area of the Texas Hill Country for a weekend trip my husband and I are planning and, to my surprise, came across the nearby Ox Hunting Ranch in Uvalde. The 18,000+ acre ranch is famous for whitetail deer hunting, buffalo hunting, turkey hunting, hog hunting, and over 40 other species. I'm not going to lie... the cave exploration, hiking, 4x4 off roading, kayaking, stargazing, and jet skiing have me all excited! Airport name and identifier: Ox Ranch Airport (01TX). 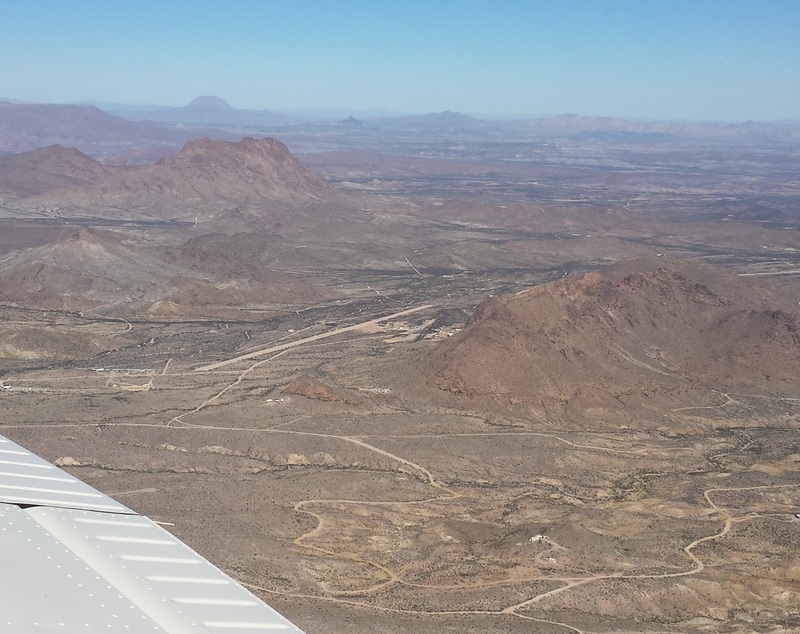 23NM north, northwest of the KUVA (Uvalde) airport. Elevation is about 1,293 ft.
the center of the runway are: N 29 27.632, W 100 06.870. ​ it prior to landing. The website does not have pricing information but I called and, from what I understood, you are either going hunting or you're not going hunting... Based on that, they give you different package options. They are normally 3 day/2 night options for 6+ people. The packages are all inclusive (lodging, meals, runway usage, and activities). It's not the cheapest of the places but I'm not aware of any other place quite like it. So, as I said before... we have not flown or been to it yet. If you have or will before we do, please let me know your thoughts. Feedback and suggestions are always encouraged! the texas air trail - visiting the lone star state! So, I hope this air trail gives you a good overview of what Texas is all about! 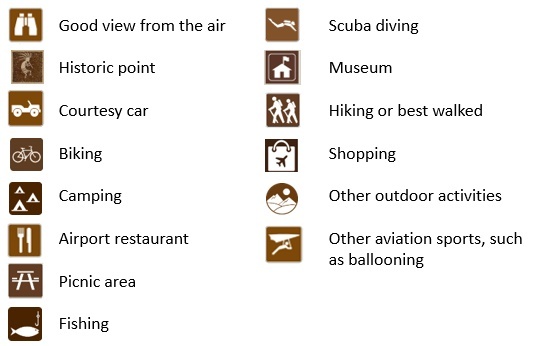 And, for the most part, it involves easy flying: mostly flat terrain, with most elevations close to sea level, with lots of open airspace, and the metro areas have lots of airports to choose from for varying levels of comfort with airspace, traffic and ATC! The following figures help give you a visual of the proposed route and stops. 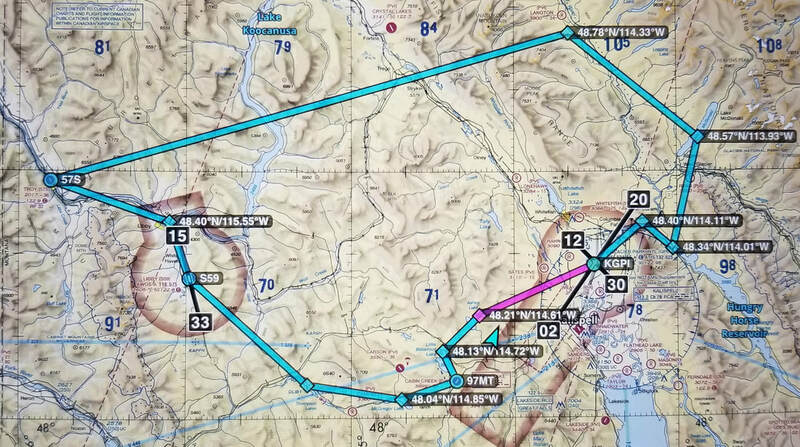 ​Or, for easier reference, you can view the route in a screenshot of ForeFlight. Keep in mind that the route between San Antonio and the Big Bend area can put you directly in Mexican airspace if you fly "direct." The ForeFlight route above adds Terrell County (6R6) as a waypoint to avoid it. ​Also keep in mind that some of these airports may not offer fuel. Please plan accordingly! You may also want to pack a set of tie downs for your aircraft. If you decide to do part or the entire route and use social media, we would love for you to use #TexasAirTrail as a hashtag. Fly safe, fly often! Enjoy this Air Trail! 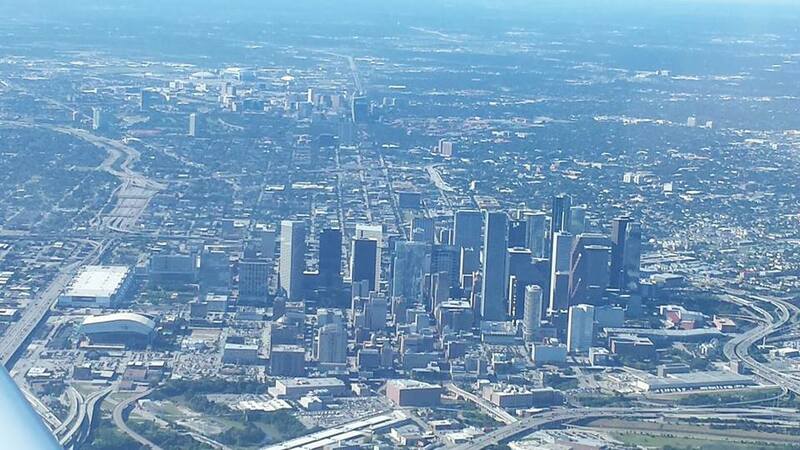 Houston is where my husband and I live so I am sorry if I am a bit biased here. What airport to fly into? Hmmm… you have lots of great airports to choose from. I would recommend you review the airspace and see what you feel most comfortable with. Here are some questions to ask yourself: Controlled or uncontrolled? Class D and/or Class B ok? Do you need a hangar? Is there a particular destination within Houston you have in mind? Is it close to your intended airport? David Wayne Hooks Memorial Airport (KDWH) has a restaurant (http://www.hooksairport.com/) inside the FBO. A seafood restaurant, the Runway Café, is at Texas Gulf Coast Regional Airport (formerly Brazoria County Airport) (KLBX). Lone Star Executive Airport’s (KCXO) Galaxy FBO features a Black Walnut Café, located on the 3rd floor with a dining room and patio that offers views of the 9 acre ramp and runway 14/32. The menu offers an actual “$100 burger” that actually comes with a $100 gift card. Houstonia Magazine recently wrote an article about the restaurant at Conroe. Three other area airports have onsite museums. William P. Hobby Airport (KHOU) is home to the 1940 Air Terminal and the West Houston Airport (KIWS), is home to the Houston Wing of the Commemorative Air Force. Their museum is normally open on the 1st and 3rd Saturday of every month. Ellington Field (KEFD) also has a museum called the Texas Flying Legends Museum. In addition, Galveston’s Lone Star Flight Museum will soon be moving to Ellington Field. Houston has a VFR corridor that runs east to west (and viceversa) over interstate I-10. 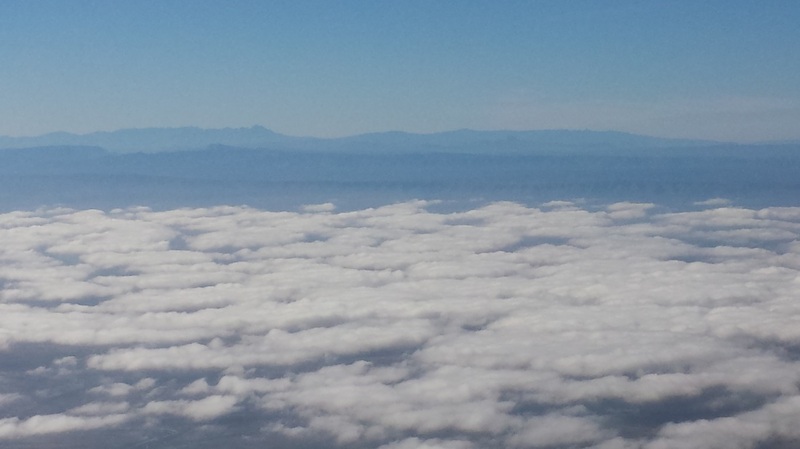 It is easy to transition through it and ATC can provide you with flight following. Take a look at the Houston Terminal Area Chart for more information, especially as it relates to Class B's boundaries and altitudes. Also remember to fly south of the highway when traveling west to east and north of the highway when traveling east to west. The corridor provides great views of the city, including the Galleria and downtown. My other website has more things to see and do while in Houston than you probably need. Anything from outdoor theaters to restaurants to parks to museums… you name it, it’s there! Galveston is a short and enjoyable flight from the Houston area. Scholes International at Galveston Airport (KGLS) is your only option. 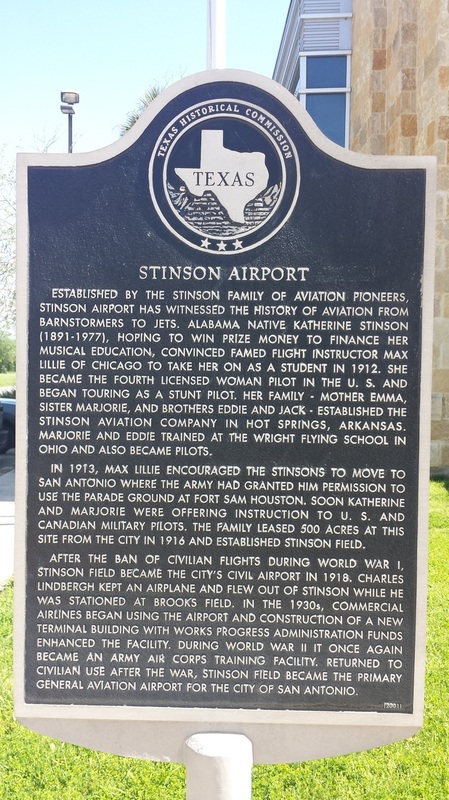 While I mentioned above that Galveston’s Lone Star Flight Museum will soon be moving to Ellington Field, it is still in Galveston and you should plan a visit. Once on the ground in Galveston, you can also visit the Bolivar Peninsula, the Galveston Island State Park, old mansions like Bishop's Palace (1866 Victorian castle) or Moody Mansion, walk the decks of the 1877 tall ship Elissa (second-oldest operational sailing vessel in the world), have lunch and shop on the Strand (a 36-block National Historic Landmark District that was once Texas's second busiest port), catch a sandcastle competition, walk around downtown, have fun at Pleasure Pier's amusement park rides, visit the Moody Gardens for aquariums and exhibits, visit the Ocean Star - Offshore Drilling Rig Museum, watch a show at the Grand 1894 Opera House, or just lay down on the beach. This link has a list of best beaches around. Galveston also has a Schlitterbahn water park however it’s nothing like New Braunfels’ (read more about this later). If you want to explore areas outside of Galveston, you can take the ferry to Crystal Beach or fly to (with prior permission because it is a private airport) the Tiki Beach Bar and Grill’s private runway. ​The Mustang Beach Airport (KRAS) is especially popular during Spring Break. La Barataria Restaurant and Bar is only 0.2 miles from KRAS inside the Island Moorings Yatch Club and Marina and they offer complementary transportation to/from the airport. Amelia's Landing is an aviation themed hotel and, if you are an adrenaline seeker, Skydive South Texas operates out of KRAS. While the beach and other destinations are within walking (if you don’t mind walking a mile) or biking distance, the owner of Skydive South Texas can also rent you a golf cart to get around. New Braunfels is a fun place to visit and one of my husband’s favorite weekend getaways. There are lots of things to do, especially if you don’t mind getting wet ;) Why? The Comal and Guadalupe Rivers run through the city and New Braunfels is home to nationally known Schlitterbahn’s water park. Both of the rivers offer great kayaking and tubing. The Comal even includes a man-made chute. Canyon Lake is north of New Braunfels and 80 miles of scenic shoreline. If you plan on visiting it, I recommend you drive the very scenic River Road to get there. New Braunfels was founded in 1845 by a group of German farmers and craftsmen. In fact, German cuisine and bakery can still be enjoyed. In addition, the city hosts an annual Wurstfest festival every November. Looking for something more relaxing? Golfing, camping along the Guadalupe River, or walking through Land Park are great options. Want a little history? New Braunfels’ Main Plaza was built in 1845 and Gruene is a very historic and cute town within New Braunfels with great shops and restaurants. If you do not mind driving a little bit, you can also visit the Natural Bridge Caverns west of New Braunfels. For more information, visit New Braunfels’ Tourism website. The New Braunfels Regional Airport (KBAZ) is the City’s airport. It may be no surprise to you that San Antonio is a pretty tourist city due to its history, with the Alamo being the main attraction. But let’s not forget that the San Antonio Missions National Historical Park spotlights four Spanish colonial missions. Along with the Alamo, these missions have collectively been designated the first UNESCO World Heritage Site in Texas. The Mission Trail Out & Back is about a 20 mile trail covering all four of the missions built along the San Antonio River dating back to the 1720s. The Stinson Municipal Airport is just south of the San Jose Burial Park. FMI on bike lanes, visit: http://www.sanantonio.gov/SABikes/MapsAndTrails.aspx. The B with a circle shows nearby bike rental locations. And talking about the Stinson Municipal Airport (KSSF)... KSSF is a cute and historic airport. You’ll enjoy the original terminal. In it, you can also find the Brown Bag Sandwich Shop and the Texas Air Museum is based at KSSF as well. ​The Riverwalk is, of course, also very popular, especially among couples looking for a romantic night. The Historic Market Square is a traditional Mexican shopping area boasting 100 shops over 3-blocks, with apparel, handcrafts and food galore. For more ideas, visit San Antonio’s Tourism website. Mooney Aircraft is manufactured at the Kerrville Municipal / Louis Schreiner Field Airport (KERV). With some advanced notice, you may be able to get a tour of the factory. In addition to Mooney, Kerrville has antique shops, several restaurants, a few parks, art galleries and museums. But, in addition to the airport facilities, Fredericksburg also offers wineries. Fredericksburg’s Wine Road 290 is in the heart of Texas wine country. Fifteen different wineries can be found along U.S. Highway 290 although you may feel like you’re in Central Italy or the Rhone Valley in France. Llano is the last of the small towns that I’m highlighting in the “Texas Hill Country” but you could visit plenty more. 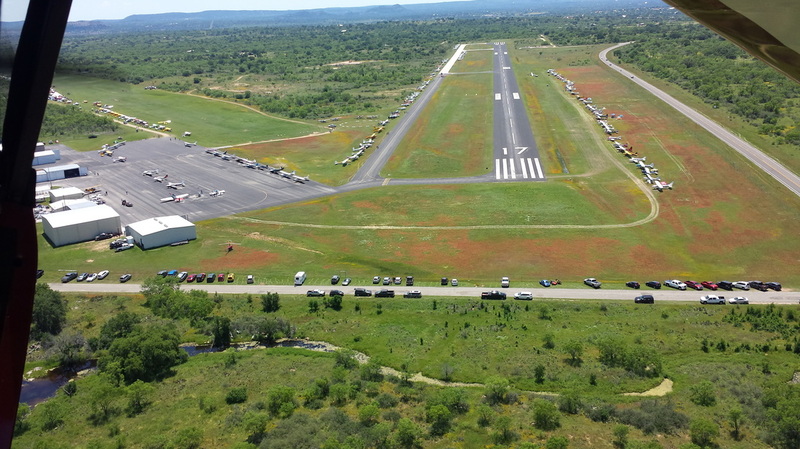 The Llano Municipal Airport (KAQO) has become a familiar event host for different fly-ins and Short Takeoffs and Landing (STOL) competitions in recent years. The secondary grass runway and ample parking space is part of the reason why. Cooper’s Old Time Bar-B-Que brings a good portion of the rest of the visitors. Update (8/22/2016): The Texas STOL Roundup competition is being moved from Llano to Hondo (KHDO) started on September 30, 2016. 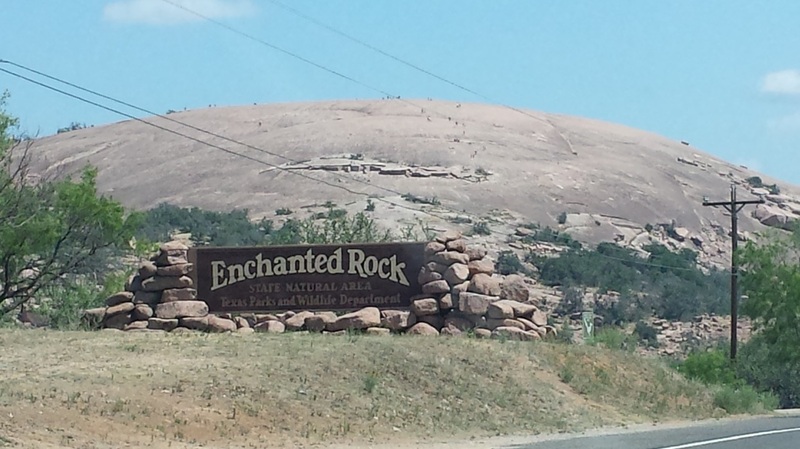 The Enchanted Rock State Natural Area is worth hiking between Fredericksburg and Llano. And, if you fly between Fredericksburg and Llano, don’t forget to look for it from the air as well. When I’ve been there, I’ve seen a number of drones/UAS flying around so keep an eye for them. 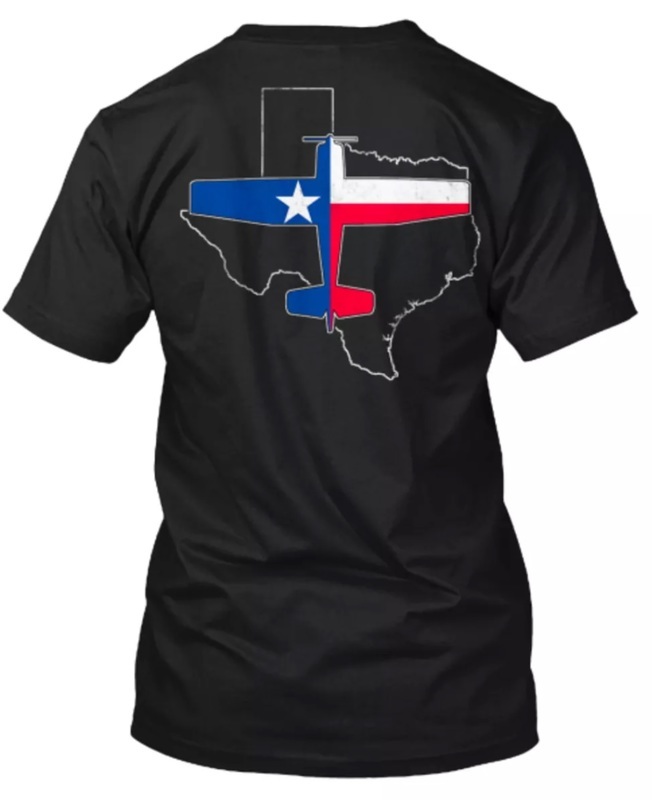 ​Austin is the Capital of Texas. 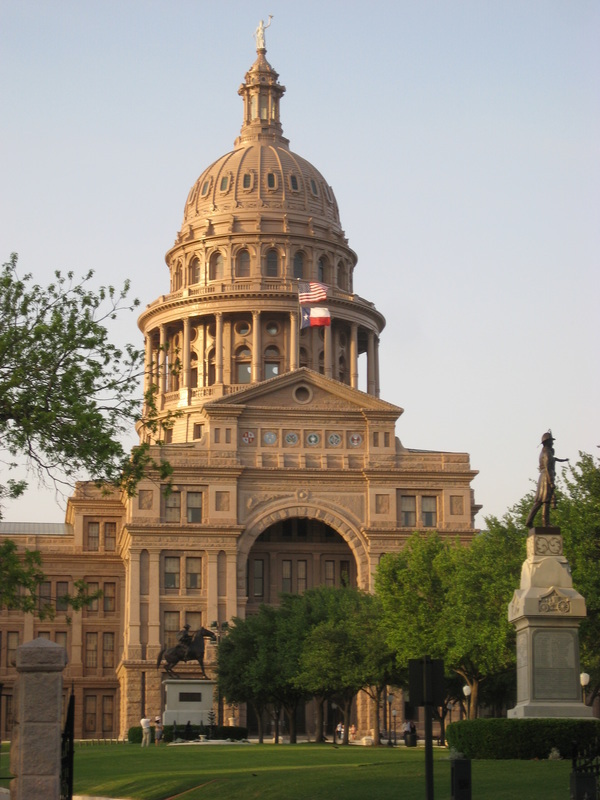 The Capitol building (http://www.tspb.texas.gov/) is a must visit. ​- Scuba dive or rent a boat to cruise around Lake Travis. If you are looking for a restaurant with really good views, you can try the Oasis (http://oasis-austin.com/). - Barton Springs Pool (http://www.austintexas.gov/department/barton-springs-pool) is a natural pool (one of my favorite spots in town!) in Zilker Park near downtown Austin. ​- If you are looking for walking or biking trails, the Butler Trail (http://www.thetrailfoundation.org/explore/about-the-butler-trail/) is a good start. You can rent bikes from Austin B-Cycle (https://austin.bcycle.com/). ​- Another good place for hiking is Mount Bonnell (http://austinparks.org/parks/Mount%20Bonnell/), which provides great views of the city and surrounding water features. ​- Rowing is also an option in Austin, on the Colorado River. ​- Just prior to sunset, you can watch Mexican bats fly from under the Congress Ave bridge (http://www.viator.com/Austin-attractions/Congress-Avenue-Bridge-Bats-tours-tickets/d5021-a7723?pref=204) as they leave to grab a meal! ​- Austin is home to the University of Texas (http://www.utexas.edu/). - Castle Hill provides good views of downtown and has a Graffiti Park (https://www.facebook.com/CastleHillATX). Keep Austin weird! If you do not mind leaving Austin a little bit... the Hamilton Pool Preserve (https://parks.traviscountytx.gov/find-a-park/hamilton-pool) is worth visiting but remember to reserve your spot beforehand, especially during the summer months. ​Austin Executive Airport (KEDC) and Austin Bergstorm International Airport (KAUS) are the closest airports to town; however, I would not ignore Lakeway Airpark (3R9) and Spicewood Airport (88R) as they are great little airports to fly into, especially if you're looking for a more scenic and challenging approach and runway ;) Read their restrictions prior to going though. ​Baylor University has made quite a few facility improvements lately, to include their football stadium. Magnolia Market is owned by the popular couple (Chip and Joanna Gaines) on HGTV’s “Fixer Upper” home improvement TV show. Waco offers a number of outdoor activities, its downtown is designated as a cultural district, and a number of museums are available as well. Waco has three airports for you to choose from: Waco Regional Airport (KACT), TSTC Waco Airport (KCNW) where Texas State Technical College's aviation program is based out of, and McGregor Executive Airport (KPWG). Refer to http://wacoheartoftexas.com/ for more things to see and do. Palo Duro Canyon State Park opened on July 4, 1934 and contains acres of scenic land. The Canyon is 120 miles long, as much as 20 miles wide, and has a maximum depth of more than 800 feet. Its elevation at the rim is 3,500 feet above sea level. Palo Duron Canyon is often claimed to be the largest canyon in the United States behind the Grand Canyon. The canyon was formed by water erosion from the Prairie Dog Town Fork of the Red River. The water deepens the canyon by moving sediment downstream. Early Spanish Explorers are believed to have discovered the area and dubbed the canyon “Palo Duro” which is Spanish for “hard wood” in reference to the abundant mesquite and juniper trees. Just west of Amarillo, you can find the colorful Cadillac Ranch. For other things to do and see in Amarillo, visit http://www.visitamarillo.com/. 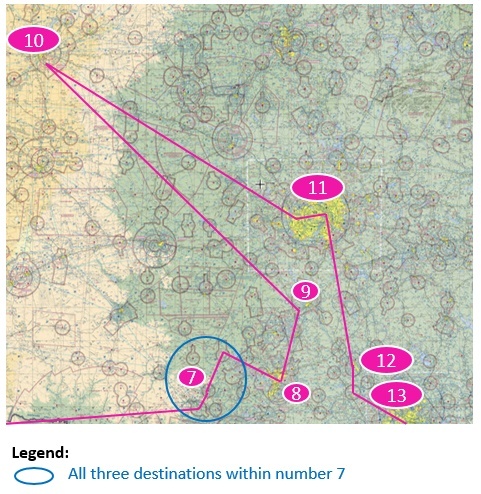 Tradewind Airport (TDW) and River Falls Airport (H81) are the closest airports to Palo Duro. Fort Worth Aviation Museum: http://www.fortworthaviationmuseum.com/ or http://www.veteransmemorialairpark.com/h ome1.aspx. Hicks Airfield (T67) has an onsite restaurant called The Beacon Café. Delta Charlie's Bar & Grill can be found at the Dallas Executive Airport (KRBD). KRBD has on-street and off-street bike lanes surrounding the airport. Grand Prairie Municipal Airport (KGPM) has a restaurant onsite called Mixed Up Burgers inside the Aviator Air FBO. The Cavanaugh Flight Museum is at the Addison Airport (KADS). The Frontiers of Flight Museum is at the Dallas Love Field (KDAL). The Bennetts Airport (9TX2) has a hangar home available for rent by the night via AirBnb or via their own website. And, yes, it is owned by a pilot! 9TX2 is a private use airport so prior permission is required. The Lancaster Regional Airport (KLNC) has an onsite restaurant and two museums. The Taxiway Café, the DFW Wing of the Commemorative Air Force museum, and the Cold War Air Museum are their names. The No. 1 British Flying Training School Museum is found at the Terrell Municipal Airport (KTRL). And, similar to the Bennetts Airport and AirBnb setup… the Kezer Air Ranch Airport (61TE) (http://www.kezerairranch.com/), although a bit further from the DFW area, will soon have four small tiny house cabins available for rent. January 1, 2017 is the target date for grand opening. Keep in mind this is a private use airport so prior permission to landing is required. ​- The George W. Bush Library and Museum is housed inside the George W. Bush Presidential Center, located on the campus of Southern Methodist University. ​For more touristic things to do and see, visit this (https://www.fortworth.com/) for Ft Worth and this (http://www.visitdallas.com/) for Dallas. Texas A&M University is the oldest public university in Texas offering almost 400 different degrees. The George Bush Presidential Library and Museum at Texas A&M University is dedicated to preserving and remembering George H.W. Bush, 41st President of the United States. The Easterwood Field Airport (KCLL) can be pretty busy on (Texas A&M) game days. Brenham Municipal Airport’s (11R) popular Southern Flyer Diner is always busy but especially on weekends. They are mostly known for their Bluebell Ice-cream floats, milkshakes, and malts. Houstonia Magazine recently wrote an article about this restaurant. The airport is particularly pretty during spring when the wild flowers are blooming, including the famous Texas flower - the bluebonnet. People used to be able to take tours (http://bluebell.com/the_little_creamery/visiting_blue_bell/VisitBB_Brenham.html) of the Blue Bell Ice cream Factory but those have been suspended for now. Have Additional Time and Coming From or Going To the East/Northeast? 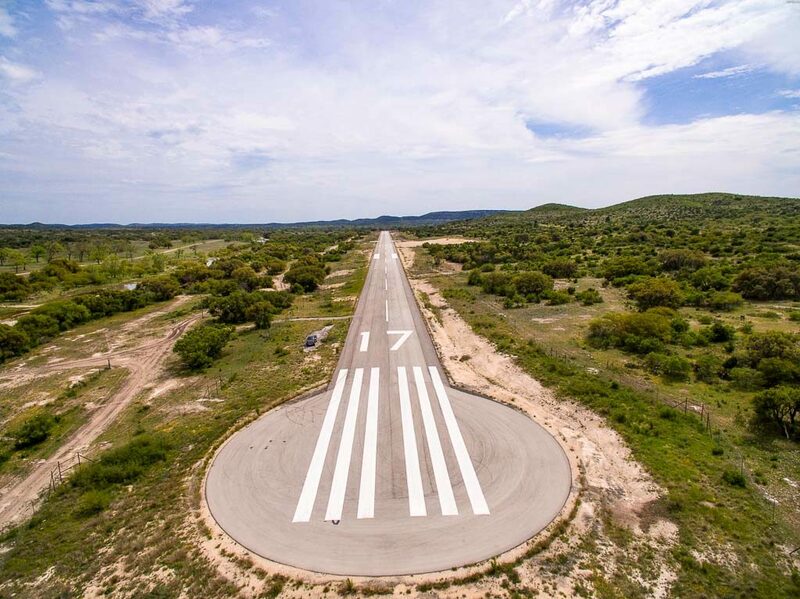 ​The AOPA Central Southwest Regional Page covering NM, TX, LA, OK, AR, KS, MO, NE and IA has a blog on “friendly airports and helipads” with a list of those that have an on-site restaurant, aviation museum, camping, and/or aircraft viewing area, etc that you may consider stopping at on your way to/from the route. For more tourism information, visit https://www.tourtexas.com/. 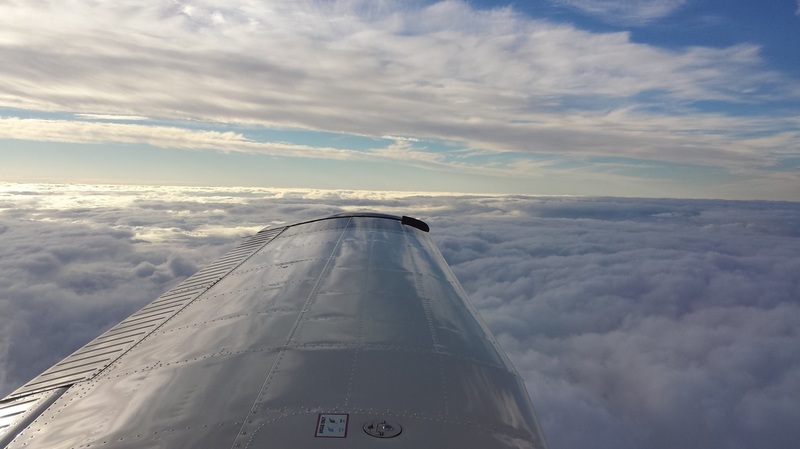 Want a reward for completing the #TexasAirTour? You can buy yourself this cool looking T-shirt. 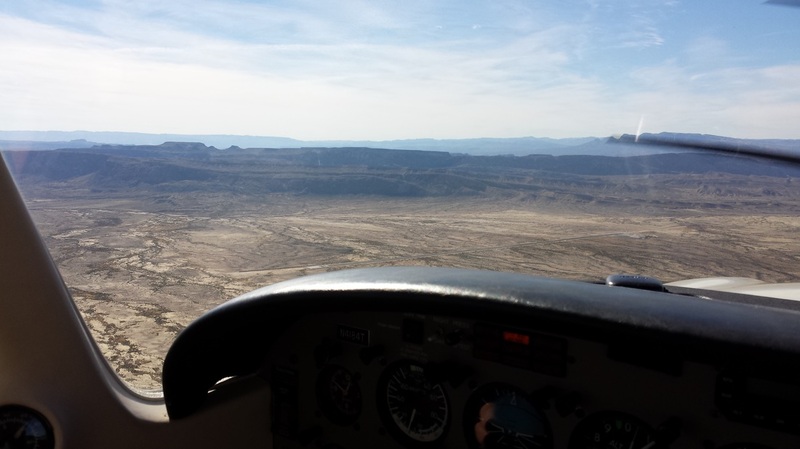 ​Joey Colleran, AOPA’s Director of the Airport Support Network (ASN) program, and I recently embarked on a training flight to the Big Bend area in “Far West Texas.” Joey is a private pilot who was looking to get current and proficient while learning about mountain and instrument flying. I was her lucky flight instructor for the trip. The Big Bend area and forecasted weather provided us with all the characteristics we were looking for, it is a jewel of a place, and it’s hard to get to any other way. And, yes, it also allowed us to do some sightseeing by joining a river trip down the Rio Grande, separating the U.S. and Mexico. I guess we can say that the Big Bend area spans from Presidio, north to Marfa and Alpine, and east to Marathon before heading south to the east edge of the national park that borders Mexico. The area is home to Big Bend Ranch State Park and Big Bend National Park, one of only two national parks in Texas (and one of only 15 Texas areas recognized by the NPS – National Park System). The area offers many exciting activities, from simple sightseeing to more adventurous activities like rafting or horseback riding. The Brewster County Tourism Council says that getting to the area “can be half the fun” and I happen to agree 100% if you fly GA. =) The closest commercial airports are in Midland/Odessa (235 miles from the national park) and El Paso (330 miles away) and services (such as hospitals, full groceries stores, etc) are also considerably far so general aviation is the best way to get around. General Aviation has also been creating jobs and saving lives in this remote area. 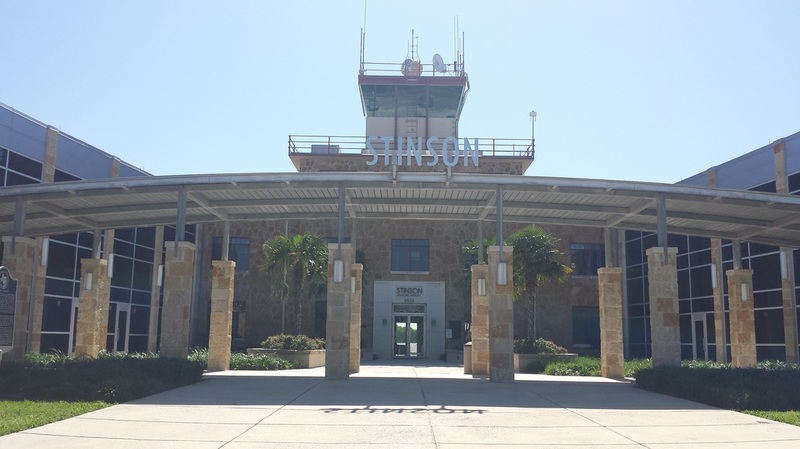 TxDOT-Aviation’s recent article explains what airport improvements to the Presidio Lely International Airport (KPRS) are doing for the region. So, the day after Christmas, we departed Austin (where she currently resides) heading west, then southwest. A cold front was moving in from New Mexico which created strong headwinds for us, preventing us from seeing anything over 80 kts groundspeed and forcing us to stop at Kimble County Airport (KJCT) in Junction for fuel. 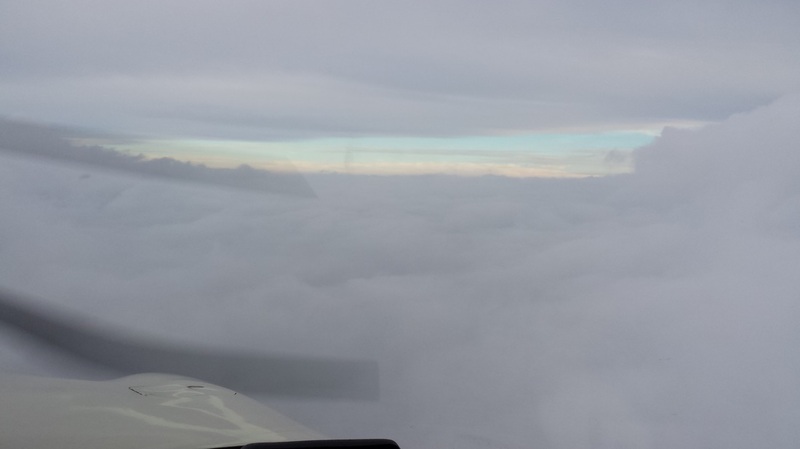 However, that same weather did provide us with some good IFR/IMC training conditions for half the trip and great VFR and aerial sightseeing conditions for the last part of the route. 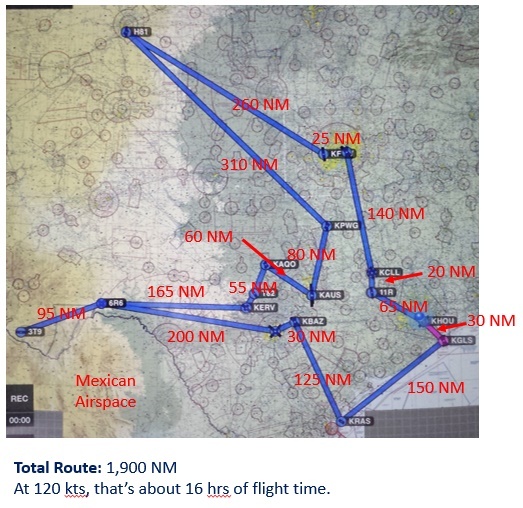 ​We then hugged the U.S-Mexico border before heading southwest, where we also lost contact with ATC controllers (Albuquerque Center), cancelled our IFR flight plan, and continued VFR. 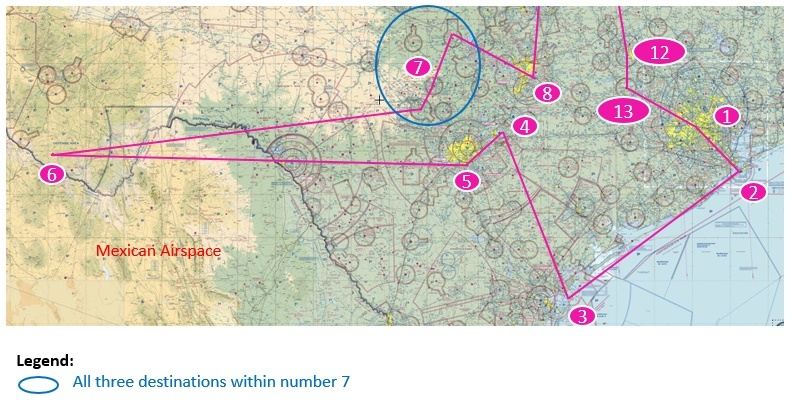 If you want to use navigation equipment in addition to piloting and good-ole dead reckoning to help you stay out of Mexican airspace, Terrell County Airport (6R6) is a good one to use. 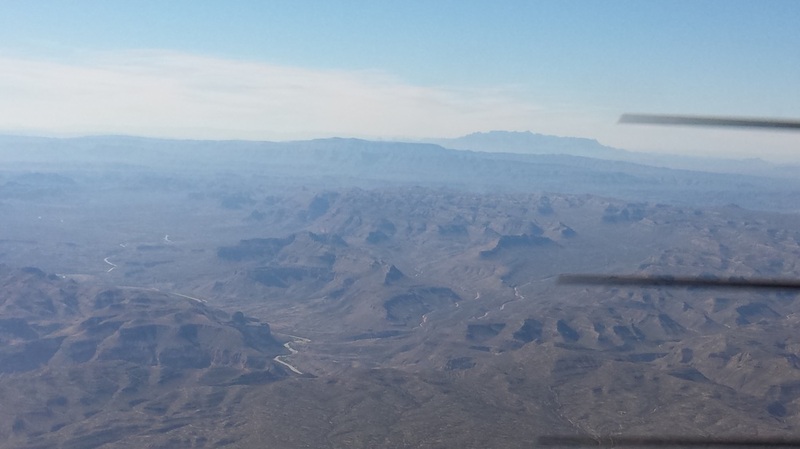 Getting closer to the Big Bend area and starting to see pretty mountainous terrain, including the Chisos Mountains. At this point, we started to discuss the risks of mountain flying, high terrain, high density altitude, etc. ​We soon started to see those remote, private, backcountry strips we had identified on the sectional as potential emergency landing fields. Some of those were dirt, gravel, or a combination of things. This one here is Stovall Ranch Nr 4 Airport (6TX9). 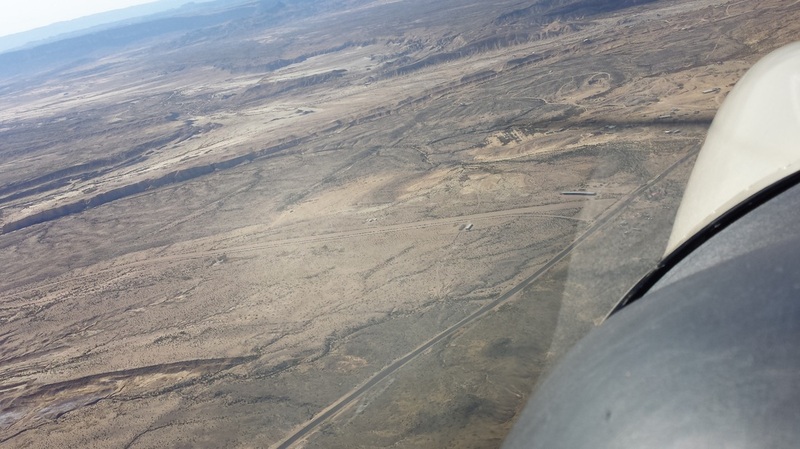 This is a picture of Persimmon Gap Ranch Airport (TA64) in the distance. Notice it is a bit uphill. 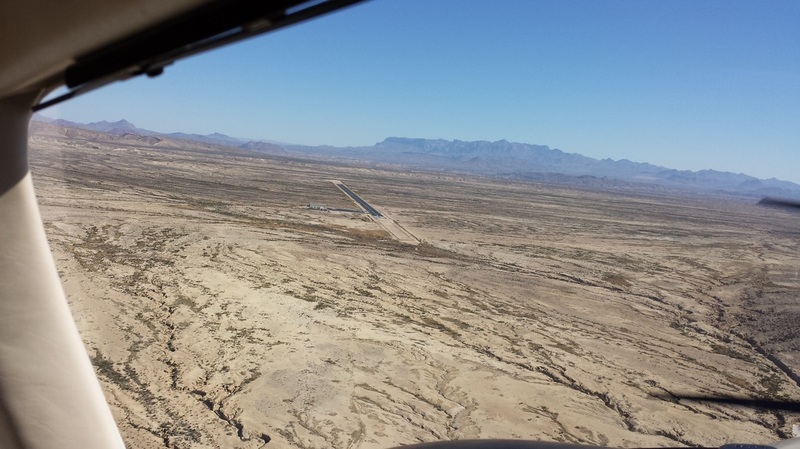 The picture above shows Terlingua Ranch Airport (1E2) although it is very far from the town of Terlingua itself. This looks like a fun and challenging place to fly in and out of. The dirt strip C. Fulcher Ranch Airport (3TE8) is in the picture above. ​Since we only stayed in the area one night given our busy schedules, we decided it was best for us to stay in Lajitas, located between the two parks. The Lajitas Golf and Spa Resort has its own private airport with fuel called Lajitas International Airport (89TE) and offers complementary transportation to and from the hotel and airport. They also have a few rental Jeeps for their customers. ​We had a very pleasant experience at 89TE; Clayton Choate, the airport manager, was very nice and helpful. He can be reached at (432) 424-3544. 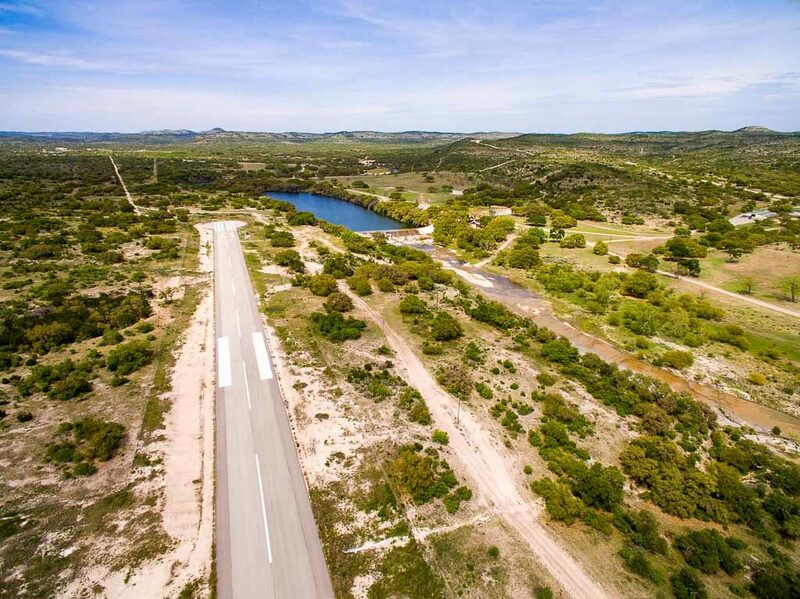 However, if you enjoy camping, hiking, etc, Big Bend Ranch State Park Airport (3T9), which is less than 20 NM away, may be a better option for you. Joey and I love that kind of thing but this trip’s mission was more about flight training for us than tourism and adventure. The state owned airport also offers complementary transportation to and from their park and the airport but they do not have fuel onsite. Barrett Durst is the person in charge of 3T9 and he can be reached at (432) 358-4444, ext. 224. Both of these airports are “private use only” so pilots are required to call ahead and receive permission to land from the respective airport managers. During that time, they will advise you of operational procedures, frequencies, airport notams, fuel availability, etc. 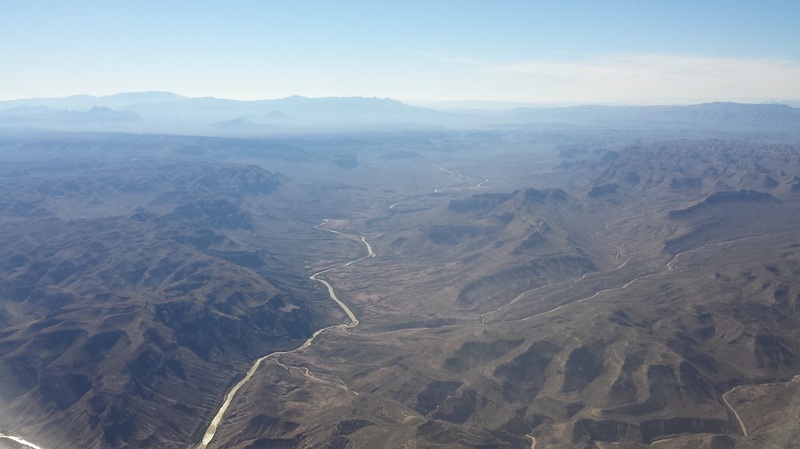 Our flight back was mostly overcast once we left the Big Bend area so we could not do too much aerial sightseeing. 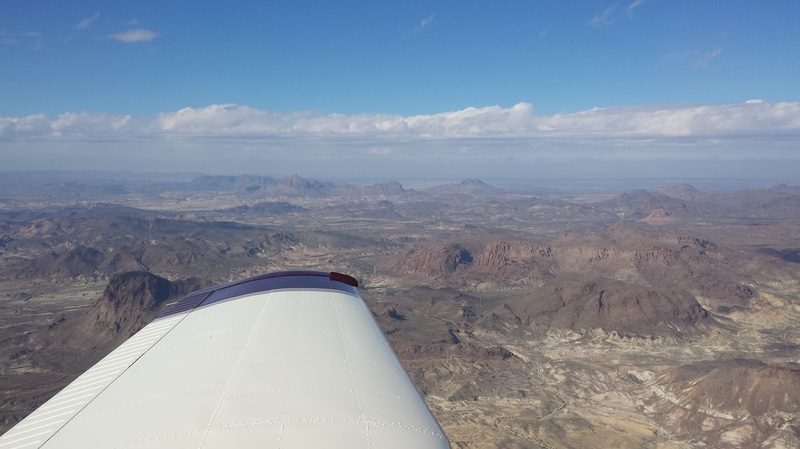 A lot of people, including native Texas and longtime Texas residents, have never been to Big Bend due to its remote location and inaccessibility and several pilots and AOPA members looking to do for some backcountry/mountain/recreational flying have asked me about this trip so I thought I’d write a blog about it. I encourage all of you to try it for yourself. If you are looking for other places to visit in different parts of Texas or the Central Southwest Region, the “friendly airports” blog I wrote about a year ago may also be helpful to you. - The Texas Air Trail - Visiting the Lone Star State!